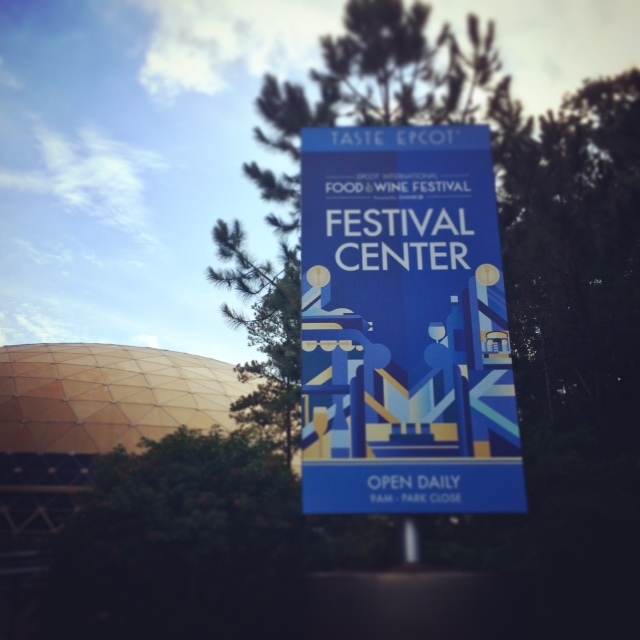 For the 21st year in a row, The Epcot International Food & Wine Festival has returned to fall at WDW! Each year the festival seems to get bigger and better. This year I’m lucky enough to be here in sunny Orlando for not only the opening day of the festival, but the entire opening week. 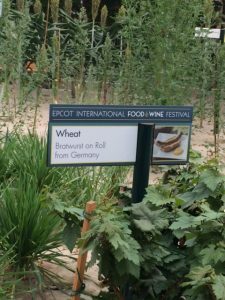 I’ll be reporting live on this blog over the next several days so you’ll have everything you need to know in order to make the most of your time at The Epcot International Food & Wine Festival. Be sure to leave any questions in the comments, and I promise to answer them as soon as I can. 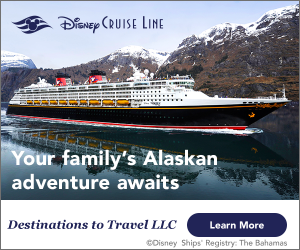 September 14 – Opening Day! You would think that for the opening day of Epcot biggest festival, there would be a little bit of hoopla. If there was, I didn’t witness it. Everything appeared to be business as usual, with the exception that over 30 booths for The Epcot International Food & Wine Festival are scattered around World Showcase and Future World serving up yummy treats, and the now defunct Wonders of Life pavilion is open from park opening to park close in order to serve as the Festival Center. 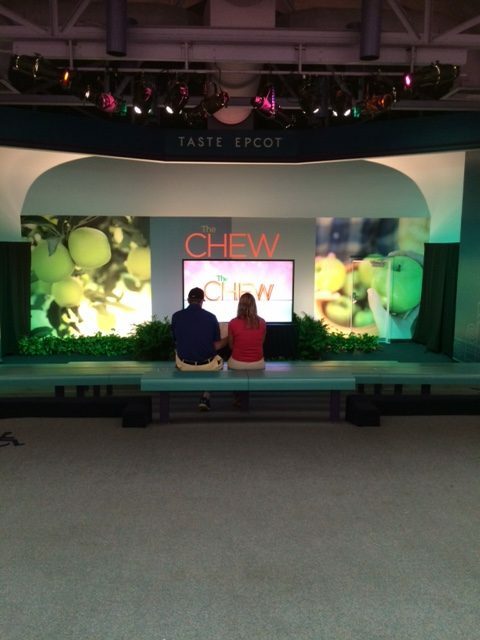 In the Festival Center you’ll find a number of stages dedicated to live demonstrations and workshops that take place throughout The Epcot International Food & Wine Festival. 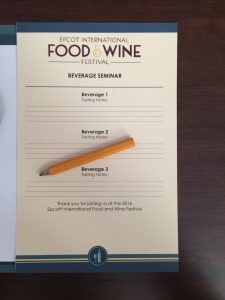 You have to sign up in advance for the workshops at epcotfoodandwine.com, but if there’s any same day availability you’ll be able to find out at the festival information center as soon as you enter the doors to the building. The center also hosts book and bottle signings, a short video called Seasons of the Vine on the topic of the wine-making process, a small boutique of festival merchandise, a wine shop featuring vintages that are featured throughout the festival (just an FYI, any purchases must be shipped to the entrance of the park with a minimum 3 hour window to arrive), a Ghirardelli display that talks about the chocolate making process and showcases elaborate chocolate sculptures, and a small café with surprisingly uninteresting eats given the nature of the festival. There are many expensive, low cost, and free sessions to attend during the festival! The Back to Basics series happens only on Fri-Sun at 1:15 and 3:15, and the topics for these half hour series are not announced in advance. On Sept 17, the presentation was about kumquats, but I was already booked into another series and unable to attend. 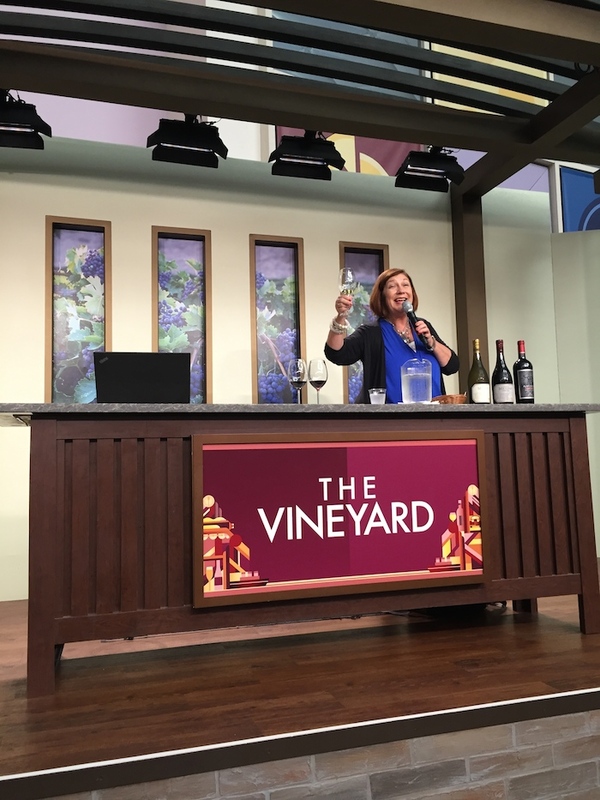 Beverage seminars take place at The Vineyard stage, and happen several times daily. These run for 45 mins at $15 per person, and advanced registration is recommended. Topics range from wine to tequila to scotch and beyond. 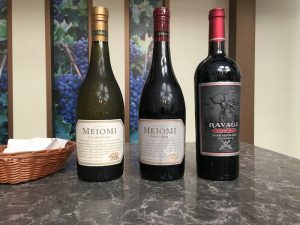 I attended a session hosted by Constellation Brands, showcasing Meiomi Chardonnay and Pinot Noir from California (previously owned by Wagner Family of Wine) and a new red blend launching called Ravage (launching in US only this year but being sold at the Festival Center, so stock up if you’re from out of the country!). 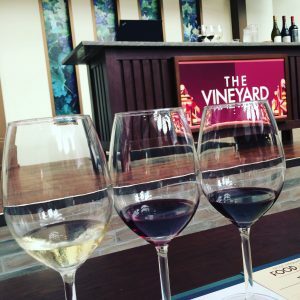 It was a fun, informative session that discussed the history of the brands, the process that makes these wines unique, and also some basic wine tasting 101. We were provided a note card for tasting and had plenty of time for questions. 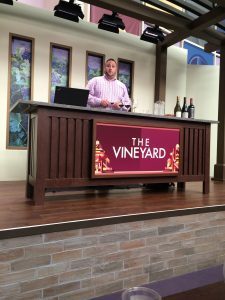 All of you wine lovers may want to take note that the trends forecasted for next year include red blends, sweet wines, roses and froses (that is, rose wine frozen to a slush consistency). 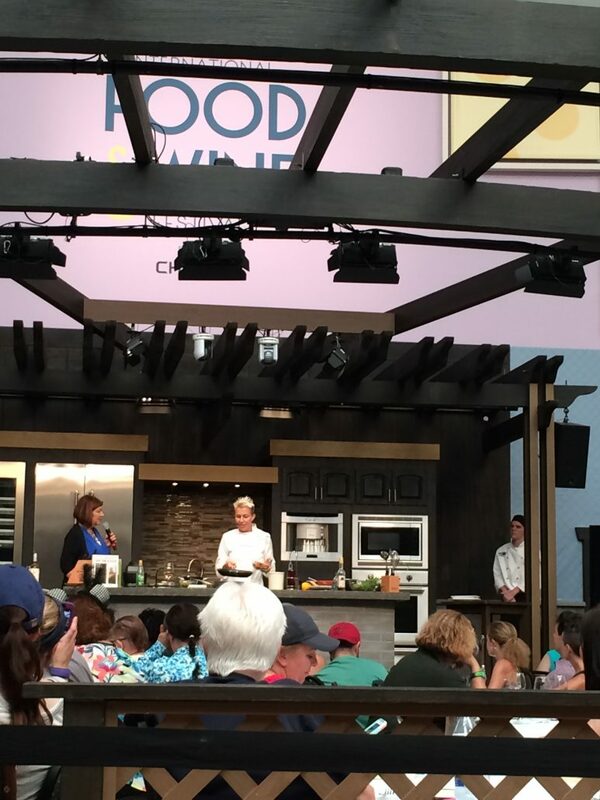 Culinary seminars also happen daily, and I caught a glimpse of Elizabeth Faulkner’s session on carrots. These are also $15 for 45 minutes and include a tasting portion of the main dish prepared. New this year are the Mix It Make It Celebrate It events. 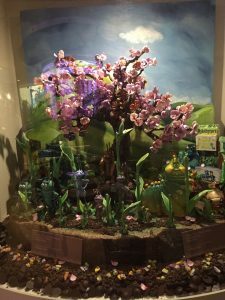 These hands-on workshops are $49 and last 75 minutes. 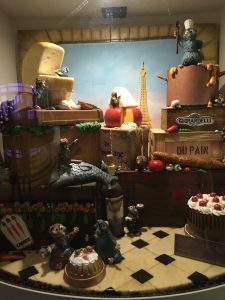 The topics are broad and the hosts can vary from celebrity chefs to Disney’s own chefs to other culinary pros. 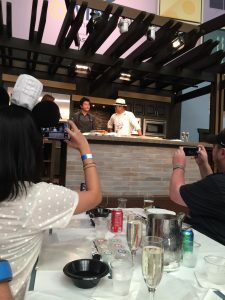 I was fortunate to be able to attend the one session held by Iron Chef Masaharu Morimoto, called Morimoto’s Sushi World! 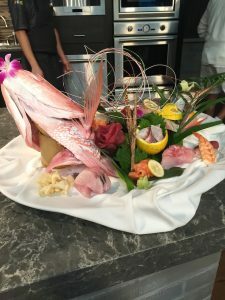 This session was led by Chef Morimoto and assisted by his staff. There were side and top cameras just like on Food Network so you could see what was happening and for folks in the back or at the sides to get a good view. 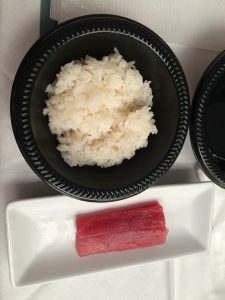 He was hilarious, engaging, and I really learned a lot about preparing and eating sushi. 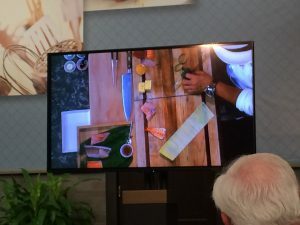 He began with a knife demonstration where he prepared nigiri, maki, sashimi, and lots of garnishes! In less than 20 minutes while joking and showcasing his skill, he prepared the beautiful arrangement above. Then it was our turn! 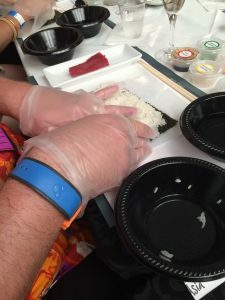 Using the supplies at our workstations, he talked us through creating our own spicy tuna rolls. 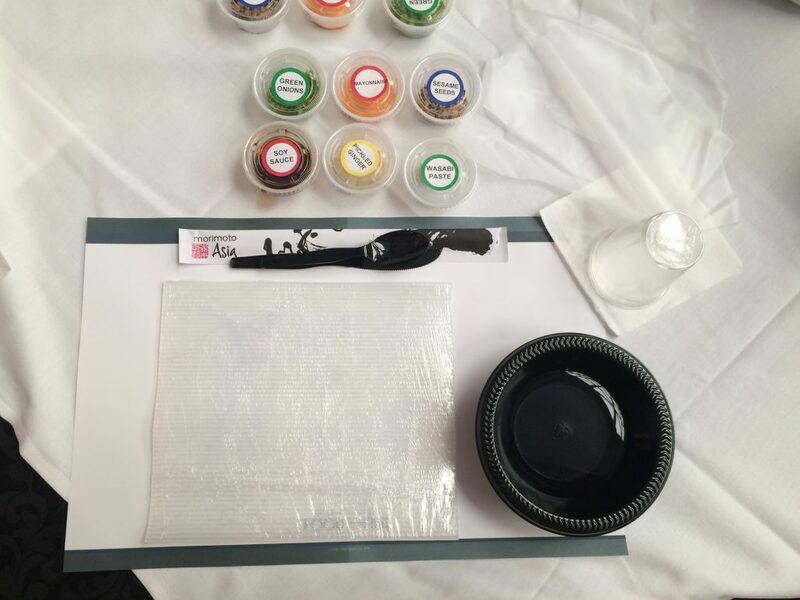 We got to eat what we created, and then were also given a professionally prepared dish (below). At the end, he provided a signed apron and a signed chefs jacket to 2 lucky guests my husband got the apron! ), serenaded us with a Japanese song, and hung around to sign autographs and take photos. What a great guy! 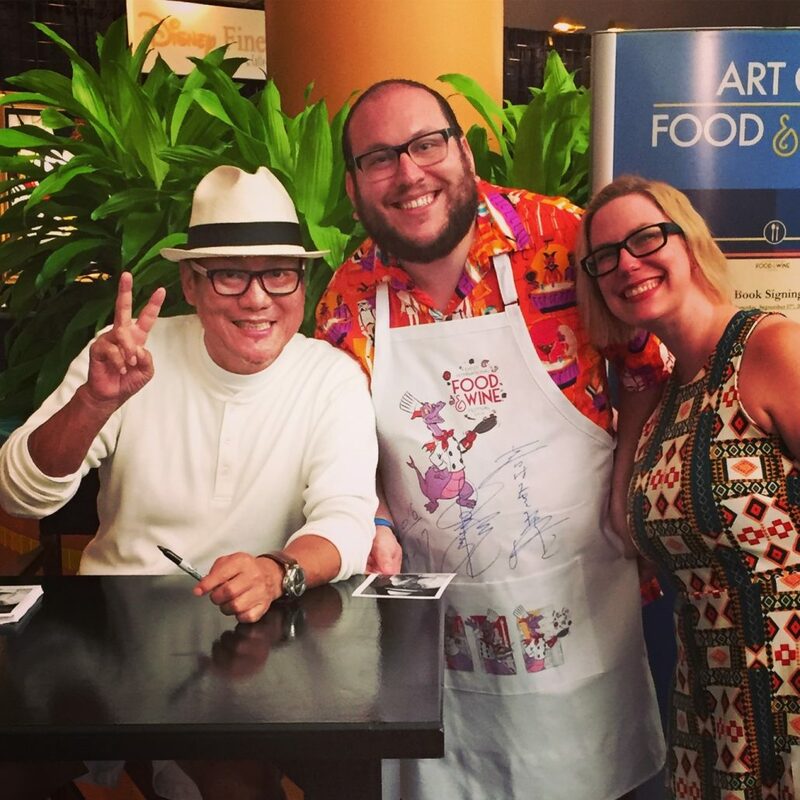 Thanks, Chef Morimoto! 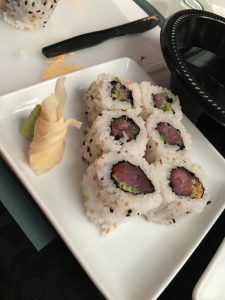 (Also, if you haven’t dined at Morimoto Asia, do! It’s a phenomenal experience). Even if your session isn’t led by a celebrity, I think the price is well worth it. 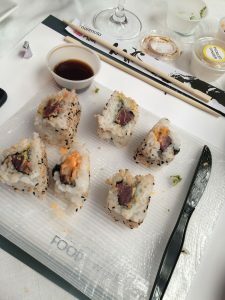 We ate 2 full tuna rolls, had a glass of prosecco, got a recipe card, and a Food and Wine mini cutting board. Your mileage may vary, but if the other sessions are anything like this I think they’ve created a home run event! I’ve captured as many complete menus with pricing as I could (if you have one I missed, submit your pic on our facebook page! 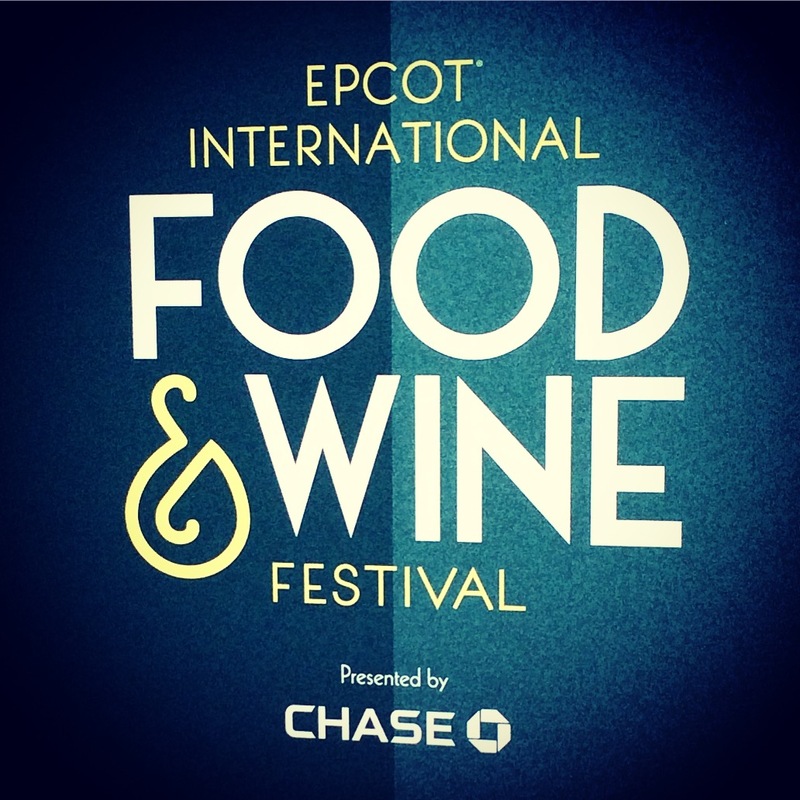 ), so review what you can below in order to start planning out your time at The Epcot International Food & Wine Festival. 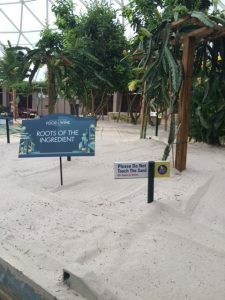 There is a special tasting lanyard available for $59 per person, which entitles you to 8 credits to use at the booths for any food or beverage with certain exclusions. This is a great idea for folks who have a hard time sticking to a budget, but it’s really not the best deal unless you were going to exclusively purchase items that cost $7.50 or more. As you can see from these menus, most items are well below that range. 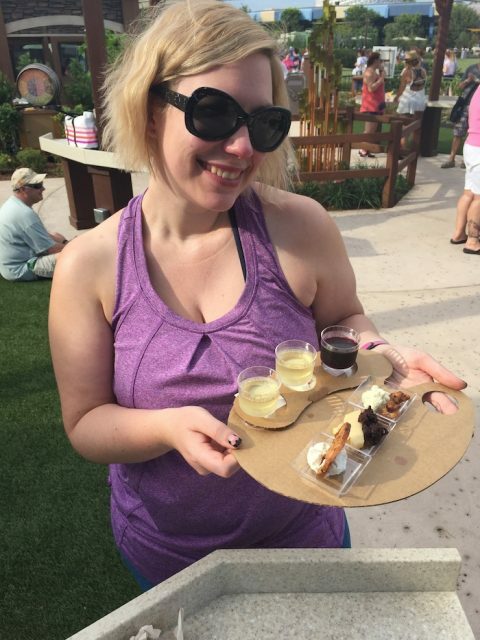 There are exclusions listed above, and in addition I was told I could not use the tabs for anything in the Festival Center, including the Lasseter Vineyards wine. And the tabs are not well-attached. After using three of eight, mine fell off the lanyard and I lost them. Don’t make the same mistake as me folks – stick those in your bag or somewhere safe until you need them – don’t wear them around your neck! And now what you’ve all been waiting for, food photos! 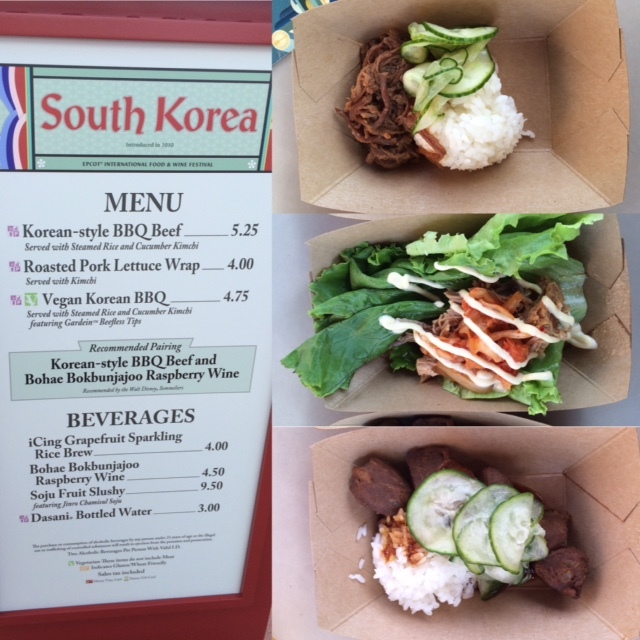 At the South Korea booth I tried the Korean style barbecue beef, roasted pork lettuce wrap, and vegan Korean barbecue. Even my carnivore husband thought the vegan barbecue was pretty tasty. Each item was flavorful and well-prepared. 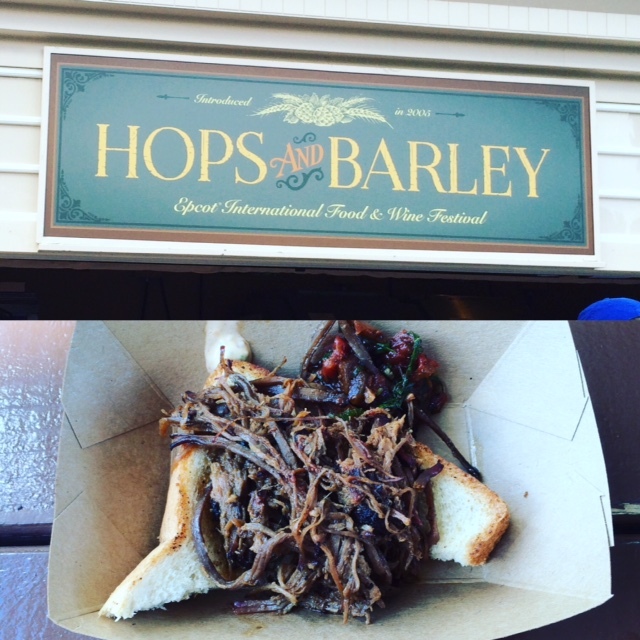 At the Hops and Barley Market, I tried the smoked beef brisket served with pimento cheese on the griddle garlic toast. This was extremely savory and moreish. 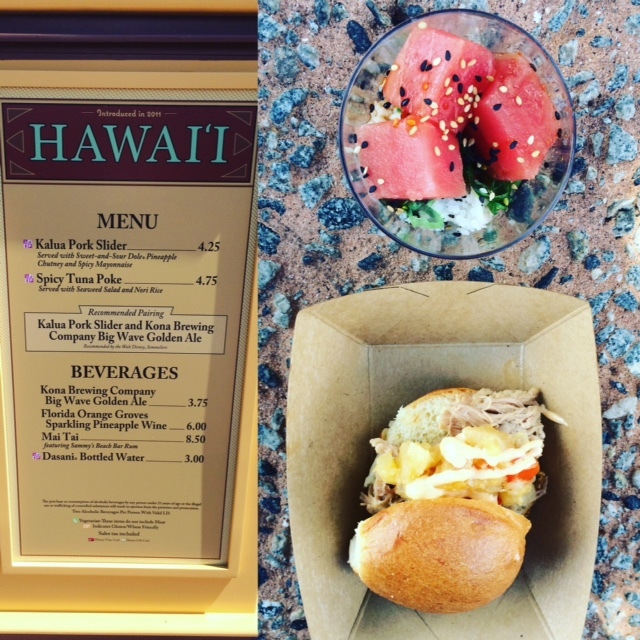 At the Hawaii booth, I sampled a Kalua pork slider with sweet and sour dole pineapple chutney and spicy mayonnaise – it’s a festival classic. My husband also tried the tuna poke served with seaweed salad and nori rice, which was surprisingly spicy and delicious. 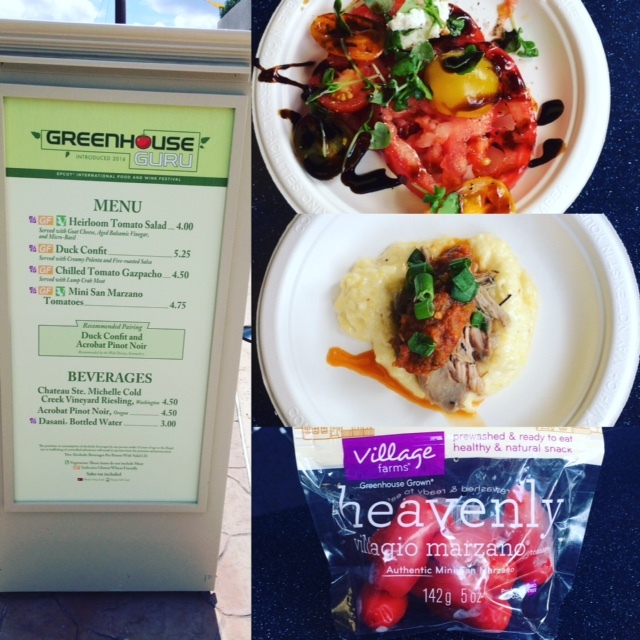 At the Greenhouse Guru booth which is new this year, I tried the heirloom tomato salad which was fresh and really tasty, duck confit with creamy polenta and fire roasted salsa which was another winner, and I also picked up a bag of mini San Marzano tomatoes for snacking. 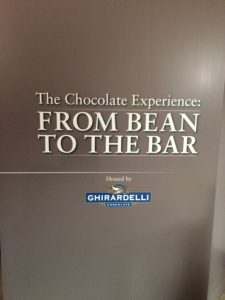 At the Ghirardelli display there is a counter set up selling samples of Ghirardelli drinking chocolate. But there’s also another pleasant surprise there. 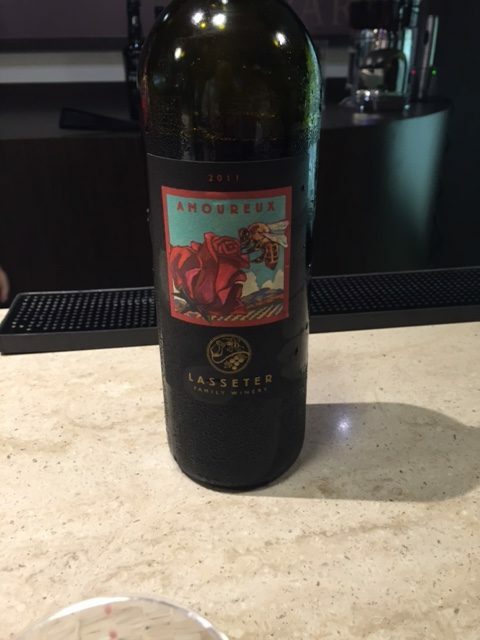 Lasseter Family Vineyards Amoreux red blend is served there – and it is really smooth. 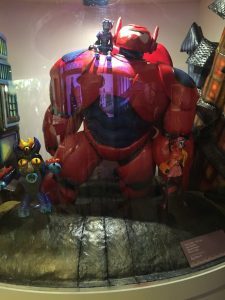 If you love Pixar and you love red wine, indulge a little. 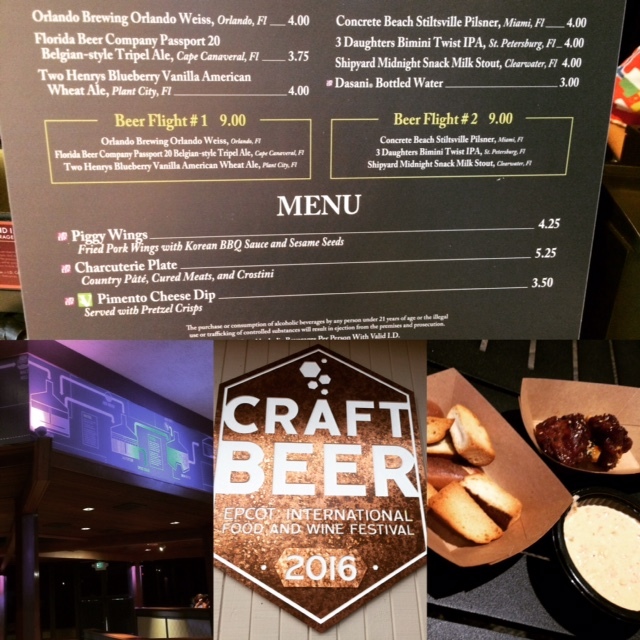 Craft Beer is a cool booth – it’s set up inside the Odyssey building between Test Track and Epcot. It’s decorated with beer science during the festival, and has lots of space, tables, and air conditioning. We skipped the beers since they didn’t look that interesting and opted for pimento cheese with pretzel crisps and piggy wings. 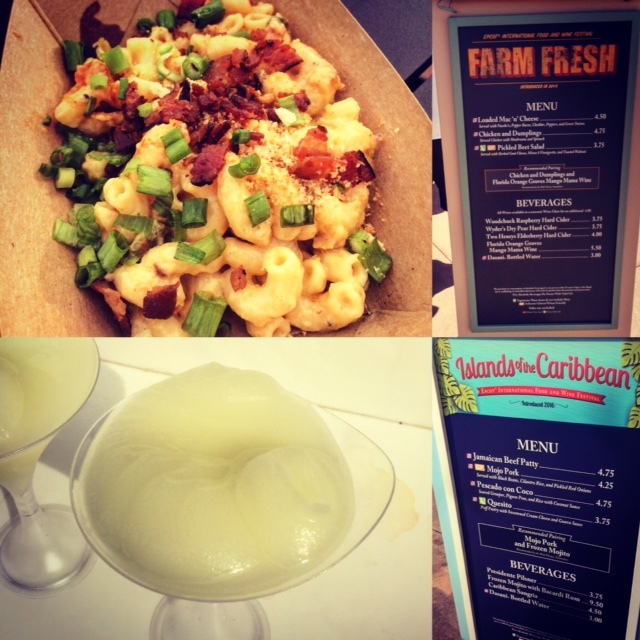 Farm Fresh is just steps away from Islands of the Caribbean, so the loaded mac n’ cheese from the former paired perfectly with the frozen mojito from the latter. France is always a class act during the festival. 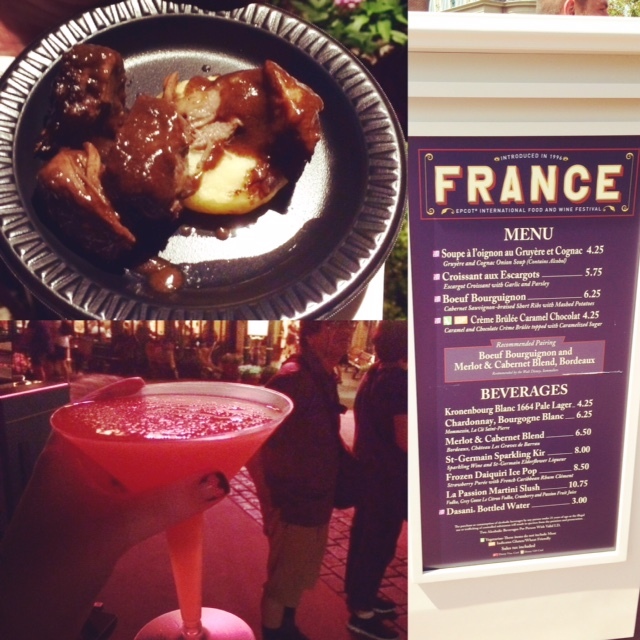 The boeuf bourgignon was out of this world and the La Passion Slush was great – fans of the Grey Goose limon or Grand Marnier slushes will love this one. For me, it was better than the 2013 Food & Wine “Eiffle Sour Cosmo Slush” but not as good as the 2016 Flower & Garden “La Vie En Rose” slush. 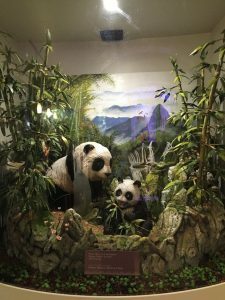 China was another big stop! 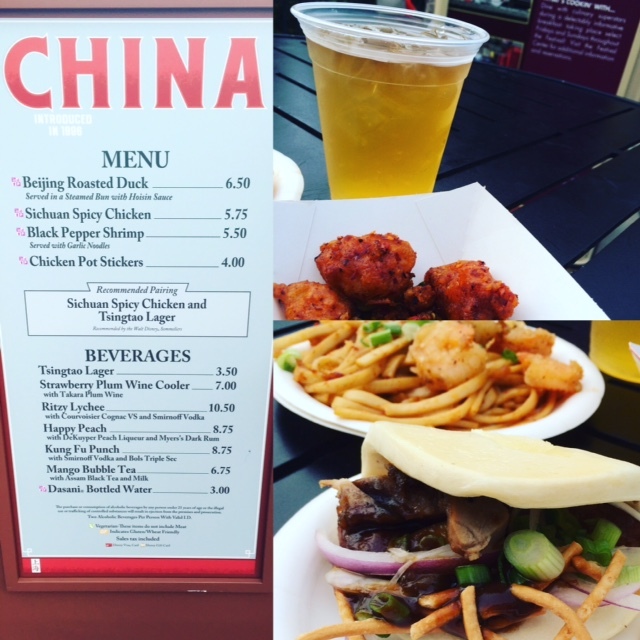 Here I tried the shrimp and garlic noodles, Beijing roasted duck bao, sichuan chicken and the happy peach. Everything was tasty, but just a little dry like it had been under the heat lamp too long. I loved these booths! 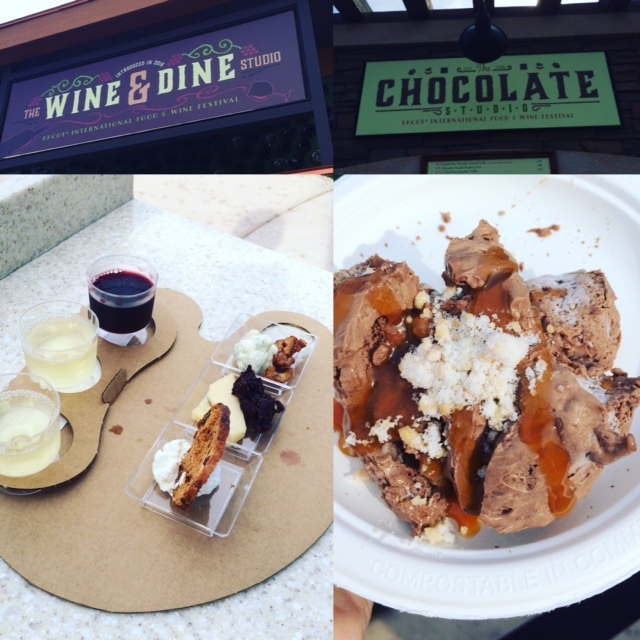 The wine and cheese palette was a fun presentation with great pairings, and the nitro chocolate truffle is really a show in and of itself! 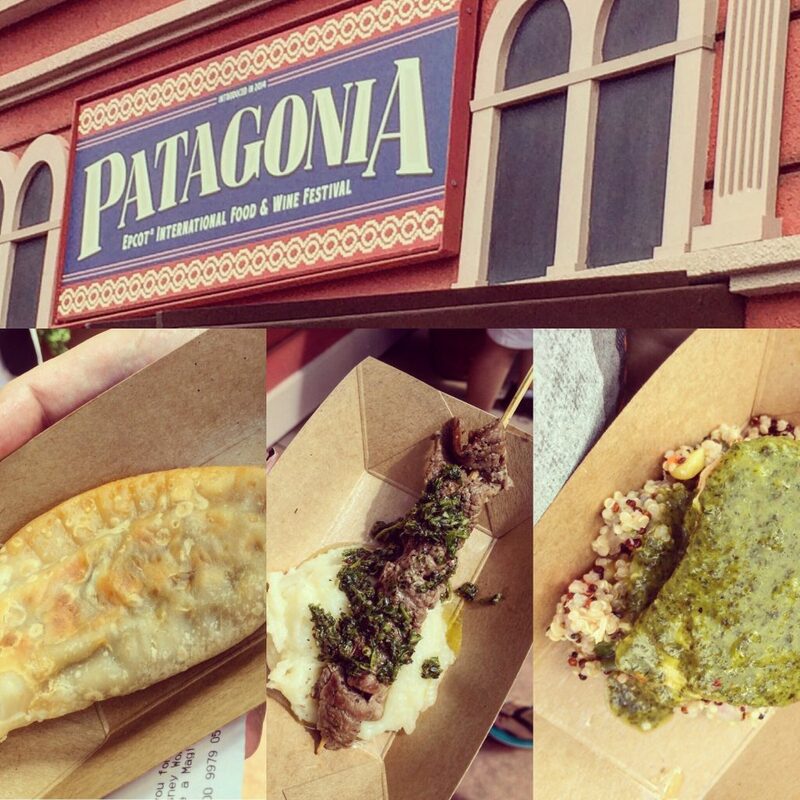 Patagonia had my favorite item this year (and actually it was my favorite in 2013 when this was the Argentina booth) – Beef Skewer with chimichurri sauce and boniato puree (like mashed potatoes). While hubby and I split most festival dishes, we got our own of this one. Twice. The beef empanada and verlasso salmon were also really great. This whole booth was a winner! Yes, we stopped at Patagonia again. 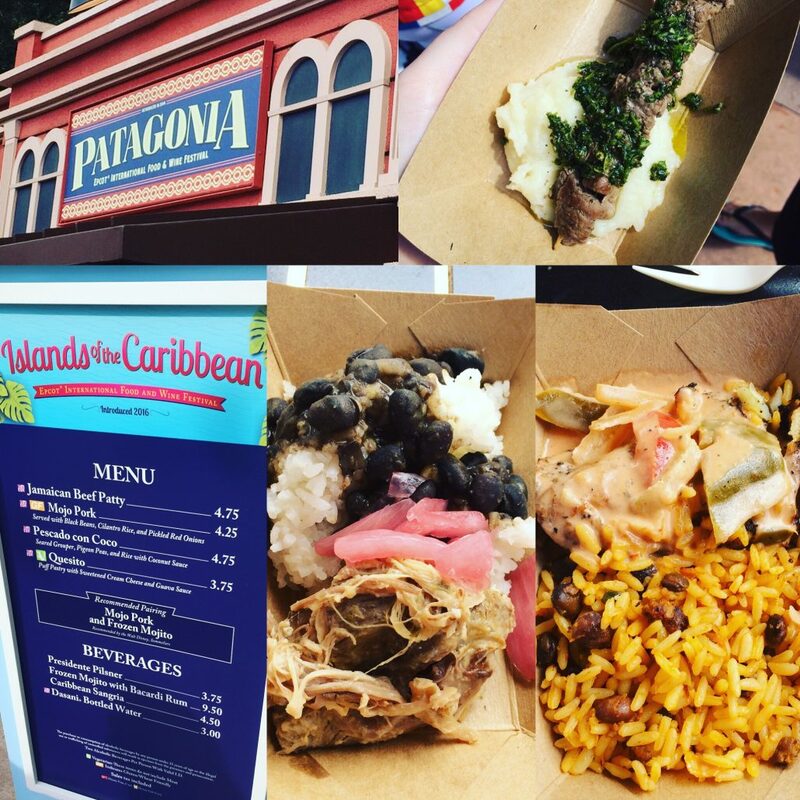 And we also revisited Islands of the Caribbean – this time for mojo pork and pescado con coco – both really moist, flavorful dishes. 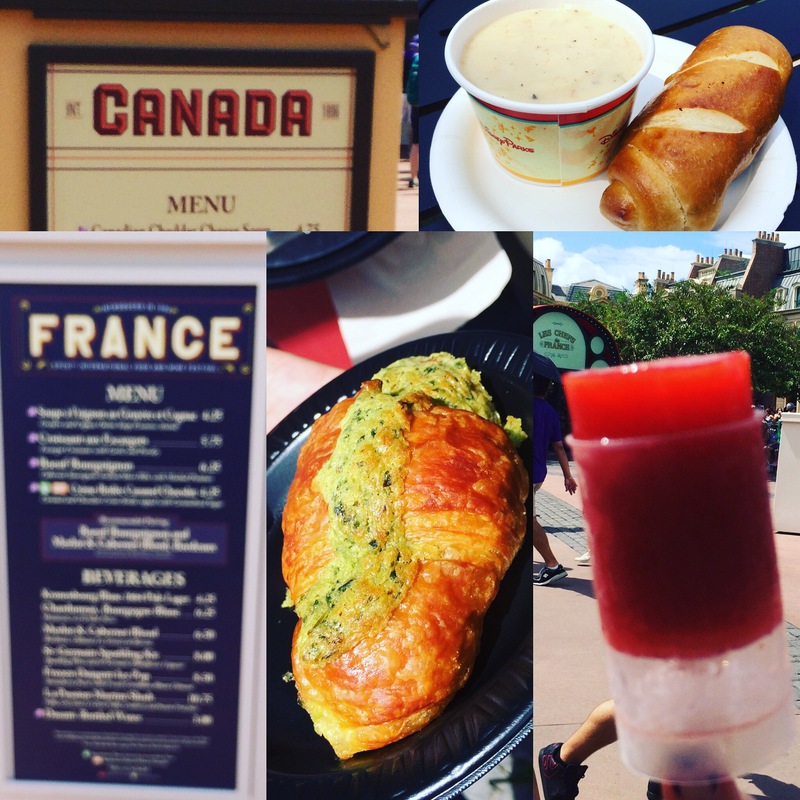 During my stop at Canada for the cheddar cheese soup (with pretzel bread this year, a big improvement on previous years! ), the Cast Members thought it was hilarious that I bothered to visit at all since I’m from Canada myself. Then it was off to the France booth again where hubby had the garlicy, buttery escargot croissant and I cooled down with the strawberry rum ice pop (which was really delicious and full of fresh fruit). Brazil hit it out of the park. 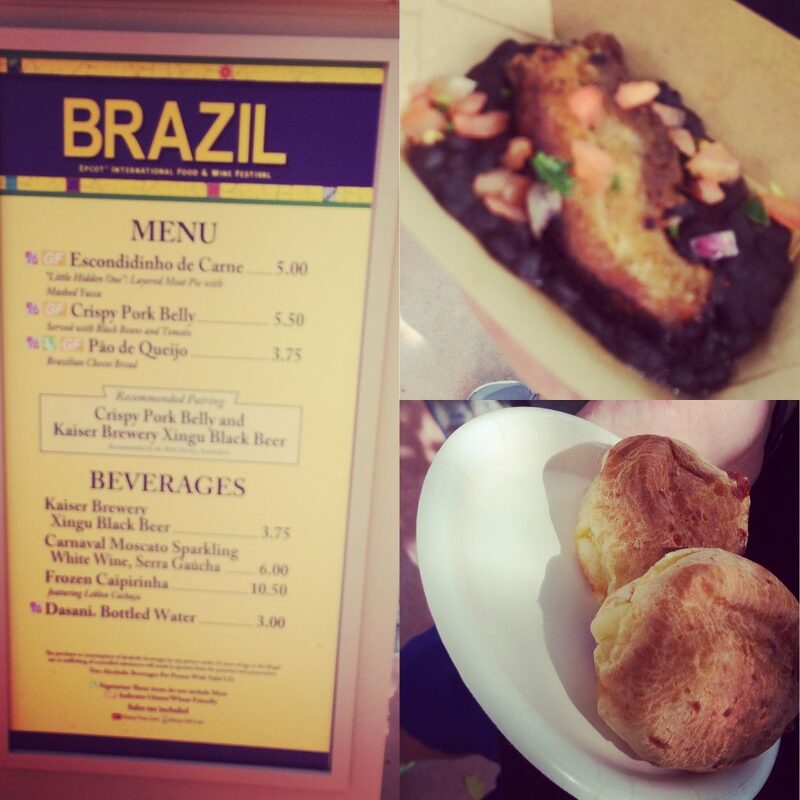 The pork belly was awesome but the surprise winner was the pao de quejio – cheese bread. These little puffs looked like your standard cheese biscuit, but the cheesy flavor and unique texture (more like a souffle inside) made this a super memorable dish. 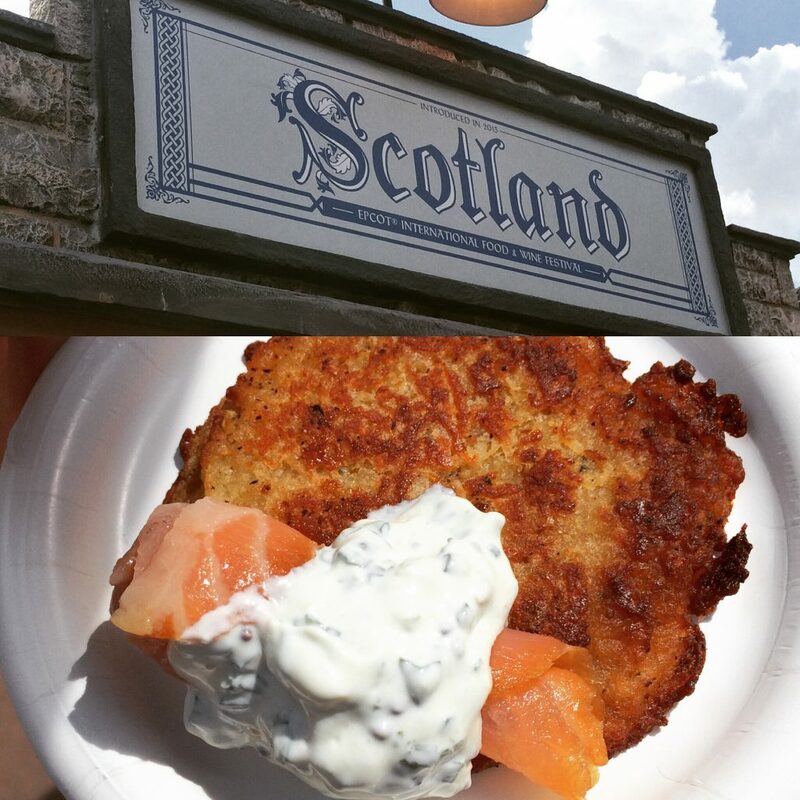 We LOVE the warm scone and smoked salmon at the Flower and Garden festival, and this came really close to that bite of perfection. The potato pancake was crisp, the salmon packed a lot of flavor and a good bite, and the herby sauce was light and refreshing. 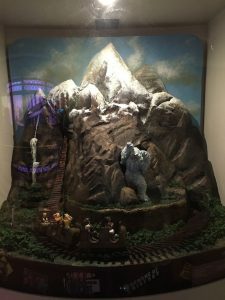 Click Here for first thoughts on Opening Day! 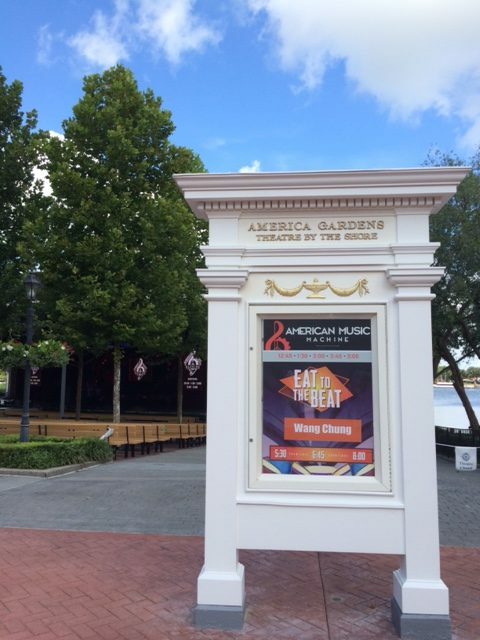 Eat to the Beat concerts return with 3 nightly performances during The Epcot International Food & Wine Festival. 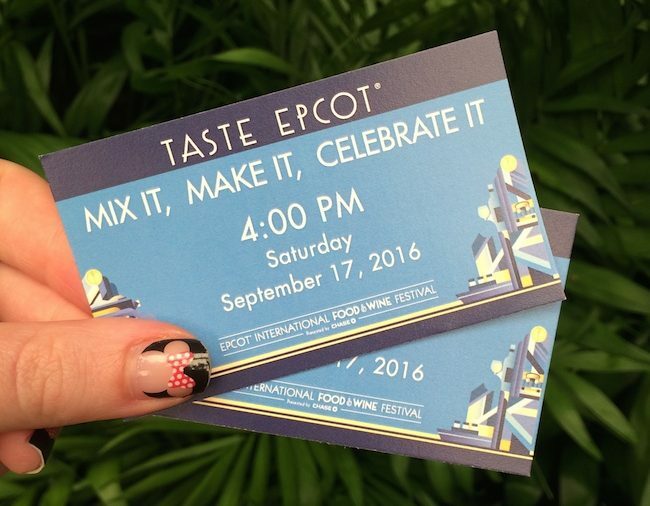 The festival passport returns this year, and you can pick yours up for free at one of a number of places throughout Epcot. 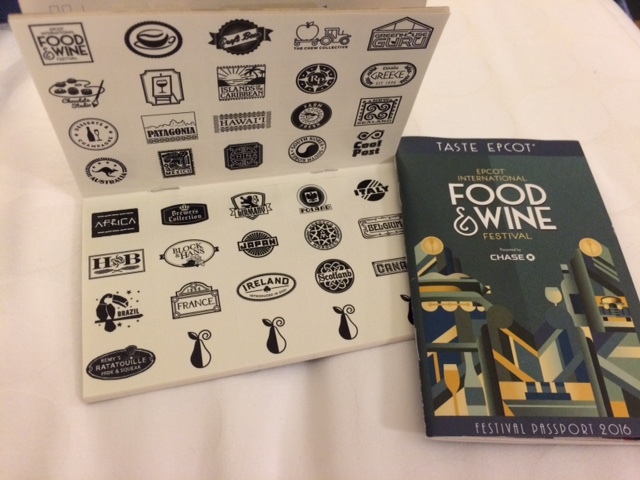 New this year, the books come with stickers for you to add to the page that corresponds with each booth that you visit. In the past, there was a stamp system where cast members would need to stamp your passport. This is a really cute and easy solution. 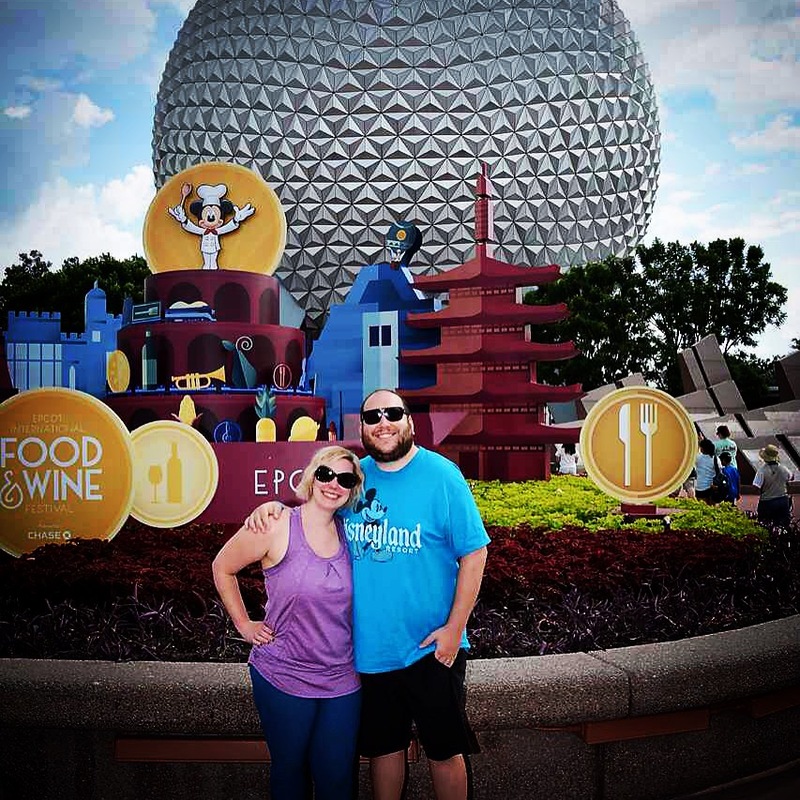 During the first week of The Epcot International Food & Wine Festival, there were a number of booths experiencing issues with their payment systems. Some were having trouble processing one or more of MagicBands, credit cards, and gift cards. 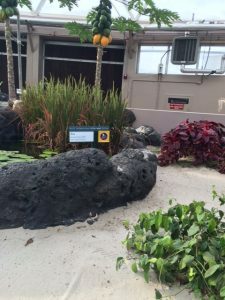 Part of the issue was overheating of the payment processing equipment in the Orlando sun. They were working to rectify the situation, so hopefully this is a very short-term problem. 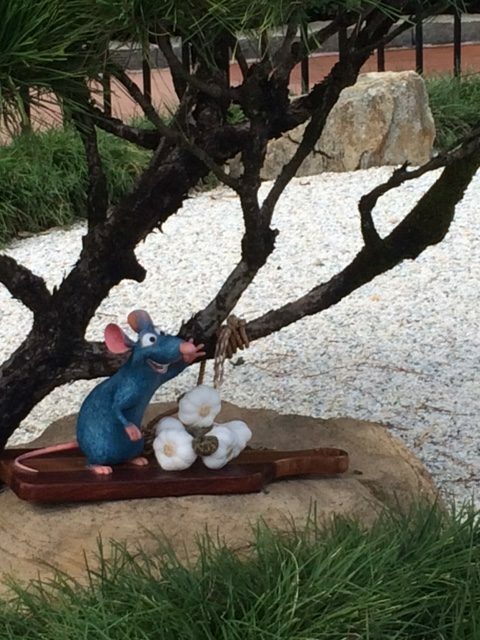 Remy’s Hide and Squeak Scavenger hunt returns -maps are $8.99. 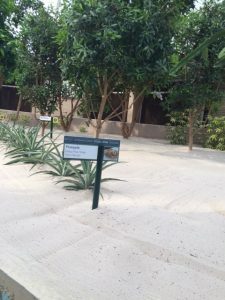 Epcot is being very careful about alcohol consumption given some of the shenanigans that have taken place at past festivals. Make sure that you are properly prepared with ID. If you are from the USA, a drivers license should do, but from all other countries you’ll need to bring either your original passport, or a copy of your passport along with another piece of official photo identification. Visitors from Canada who have the Nexus card may use that in place of the passport. 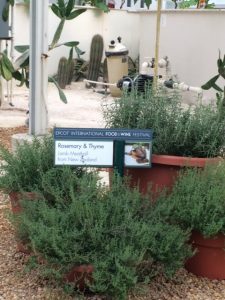 Living with the Land is getting in on the action – watch for signage in the greenhouses indicating fruits, vegetables and herbs used in festival dishes. So far, September is very hot and humid here in Orlando. It shouldn’t come as a surprise that World Showcase is lacking in shady areas, so you may wish to plan your visit for the evening when temperatures are more manageable. 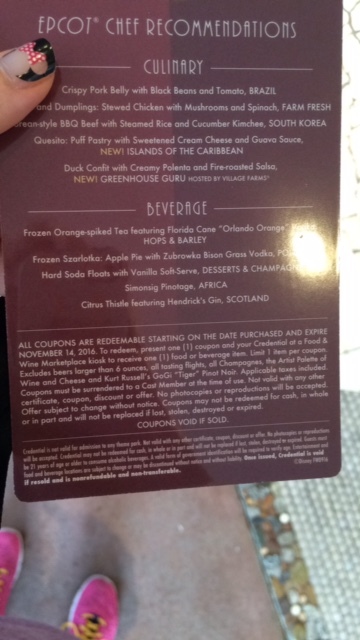 Annual Passholders who visit The Epcot International Food & Wine Festival 3 or more times can pick up a free glass tumbler (while supplies last, one per person). Have questions? Comment below and I’ll answer them as soon as I can!